Thanks for having me at Manchester CoderDojo earlier today. 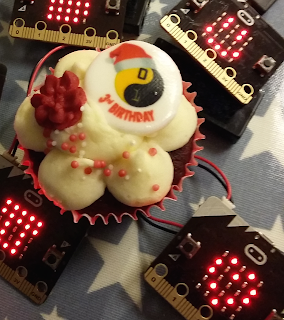 Some great micro:bit programs being created, will put code not cakes onto the #microbit website. I finally have something cooler than twinkle twinkle to play out on my micro:bit. Name that tune? !